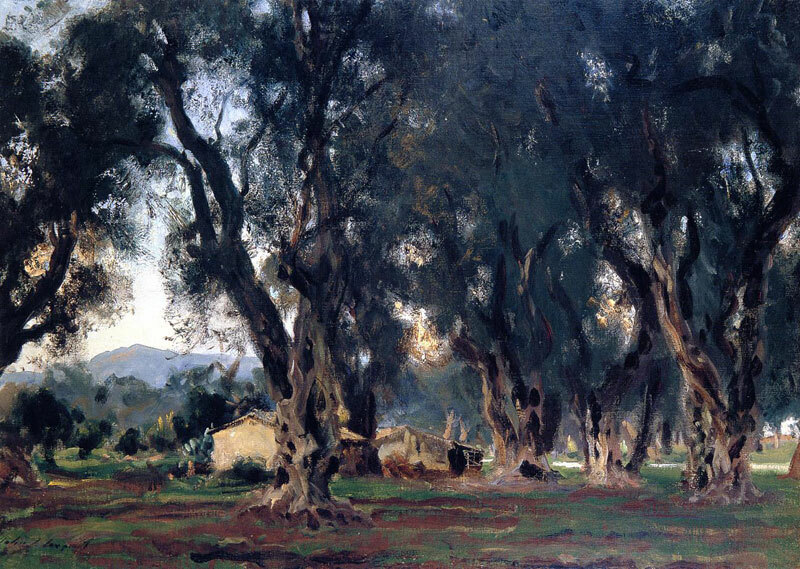 John Singer Sargent, Olive Trees at Corfu. THE ABRUPT CHANGE in weather here in the south-east of England heralding in the new season of autumn has meant I have started yearning to travel abroad again in order to embrace the aestival rays of the fading summer sun—a sojourn in France or Italy beckons, even a trip to the Meteora region of Greece. 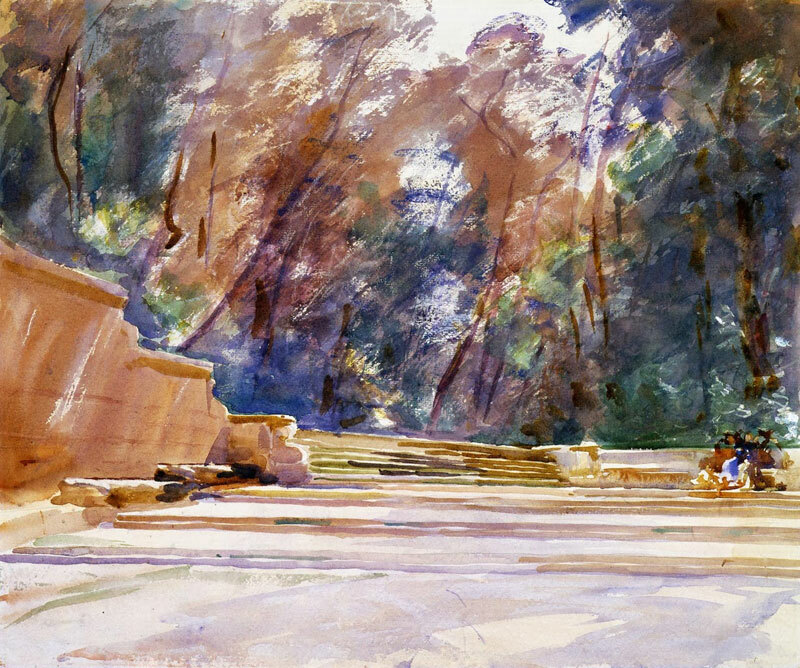 Being on the road again will mean wondering, as always, how to accomplish various ongoing creative projects, which in turn has led to my pondering upon the difference between art that is produced at a desk or in a studio and that which is inspired by being en plein air. Many writers and artists have had similar ruminations concerning the life-affirming benefits of being in nature and its effect on their art. 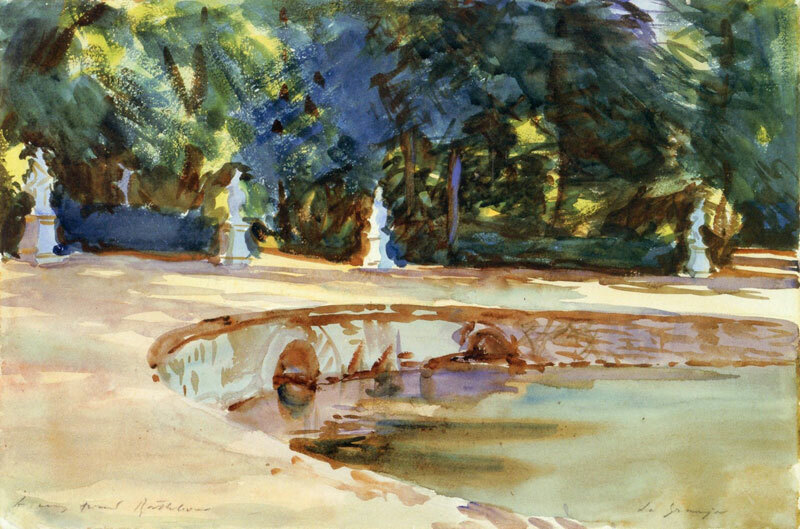 Both Ralph Waldo Emerson (25th May 1803–27th April 1882) and John Singer Sargent (12th January 1856–14th April 1925) were advocates of producing their craft amidst the flora and fauna of existence, not least the rejuvenating and redemptive qualities of being ensconced in lush woodland and verdant copse. There is a beautiful word in German, “Waldeinsamkeit”, which literally translates as “forest loneliness”; more specifically, it is the feeling of solitude, of being joyfully alone in the woods and feeling deeply connected to the natural world. 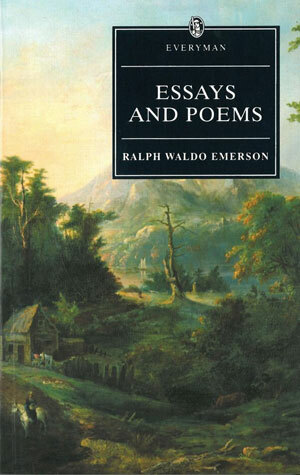 Indeed, Emerson wrote a poem by the very same name (and owned land including the aptly named Walden Pond, which itself inspired Henry David Thoreau’s journal, Walden; or, Life in the Woods); similarly, Sargent produced some of his finest, light-saturated impressionistic paintings on his outdoor European excursions, with both men exquisitely capturing the magical and mystical potency of being in the great outdoors. 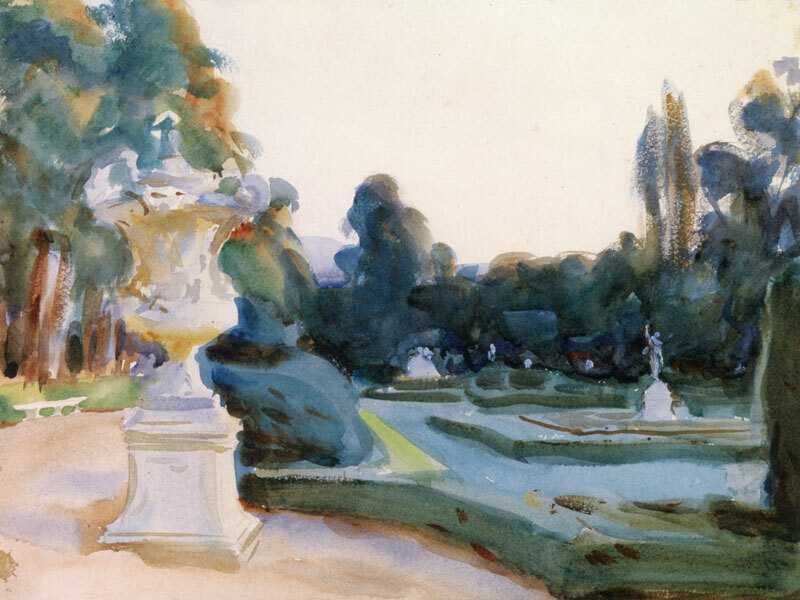 John Singer Sargent, Pool in the Garden of La Granja. 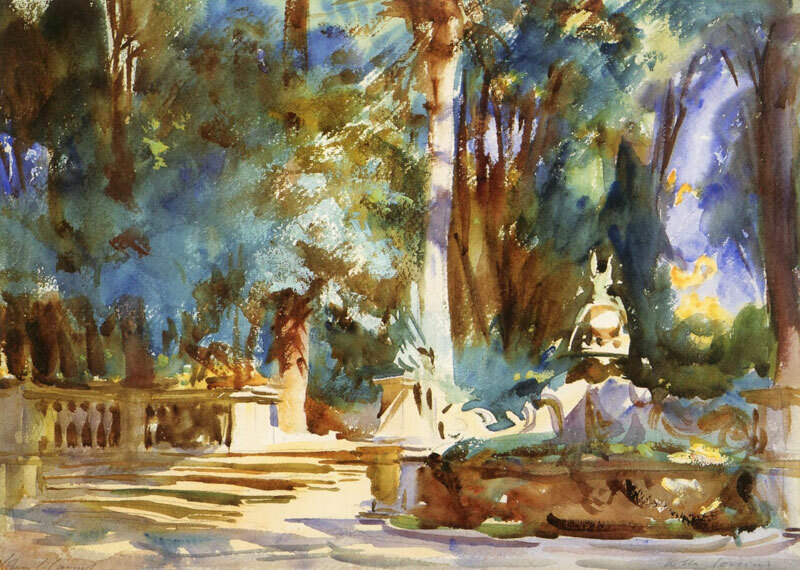 John Singer Sargent, Villa Torlonia, Fountain. 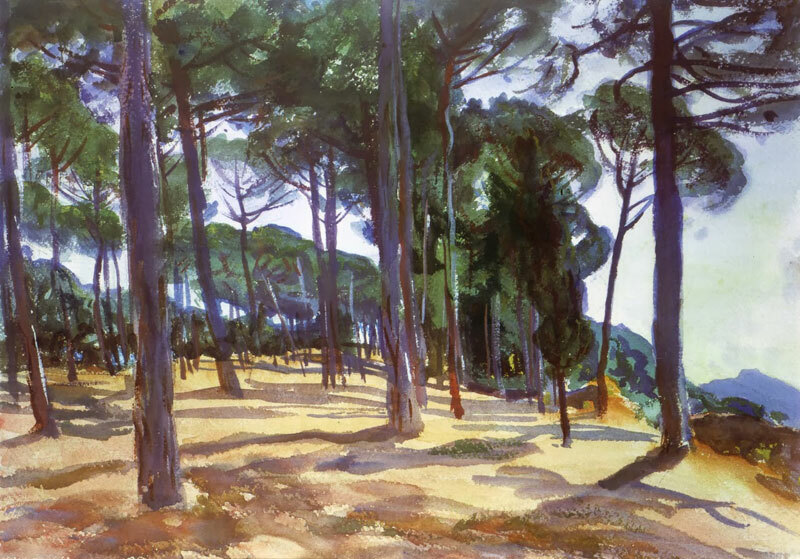 John Singer Sargent, At Frascati. 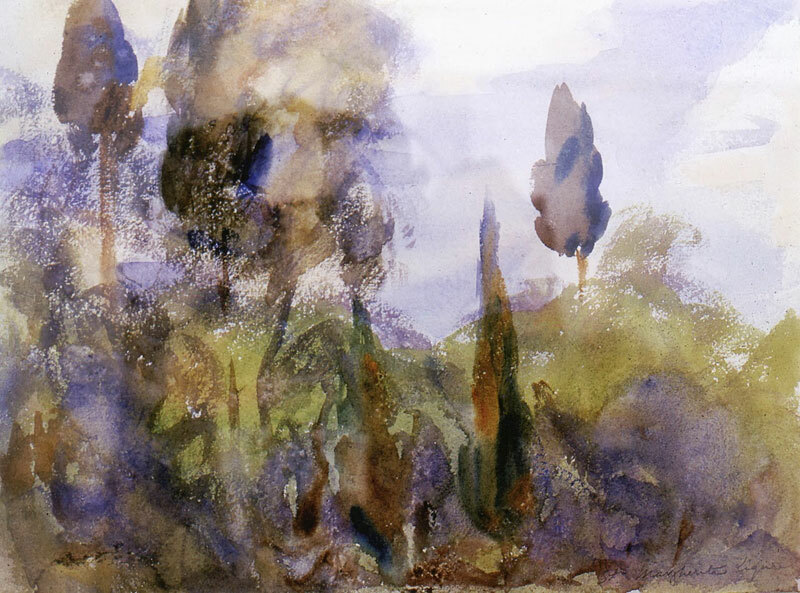 John Singer Sargent, Landscape Near Florence. 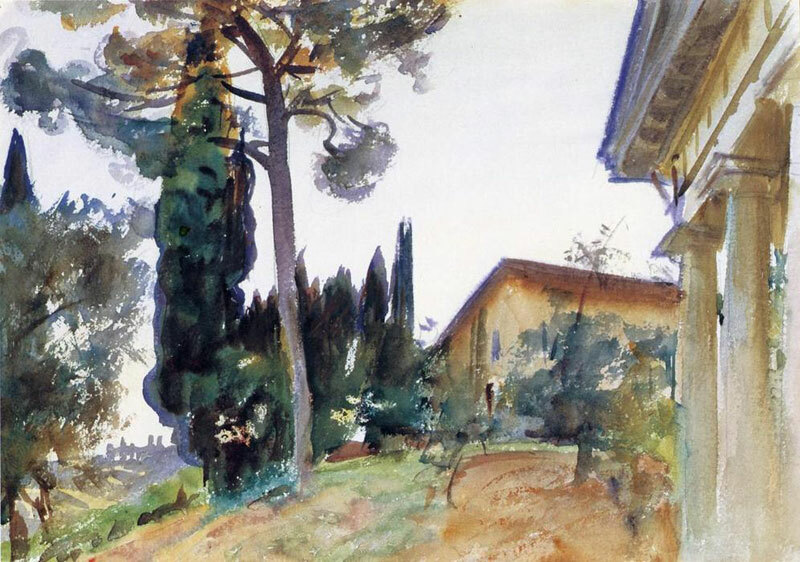 John Singer Sargent, Villa Corsini, Near Florence. 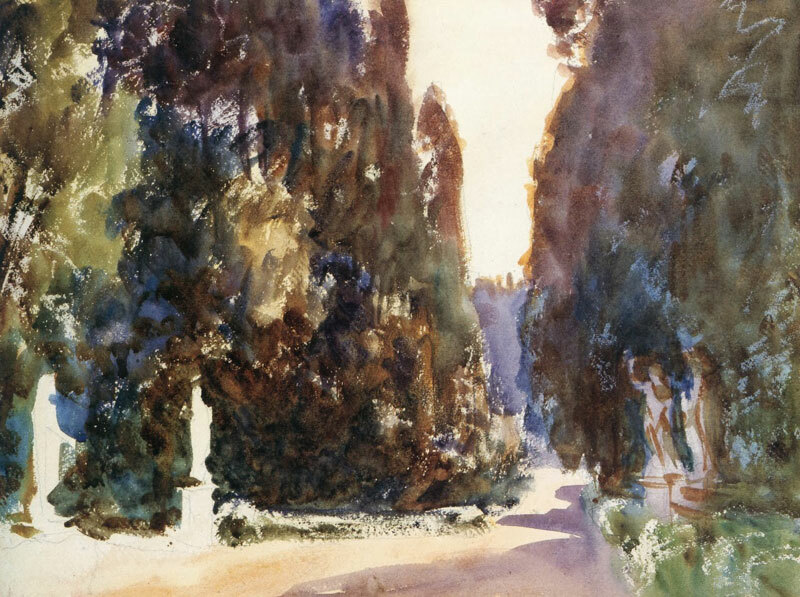 John Singer Sargent, Boboli Gardens, Florence. 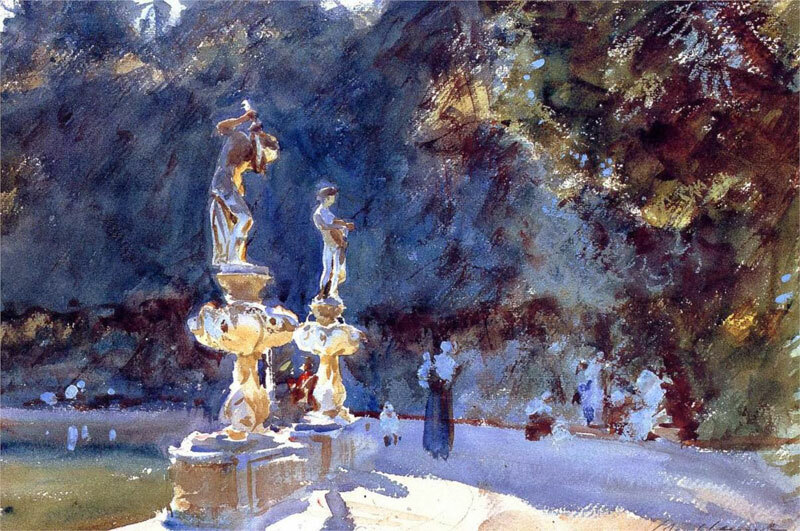 John Singer Sargent, Florence Fountain, Boboli Gardens. 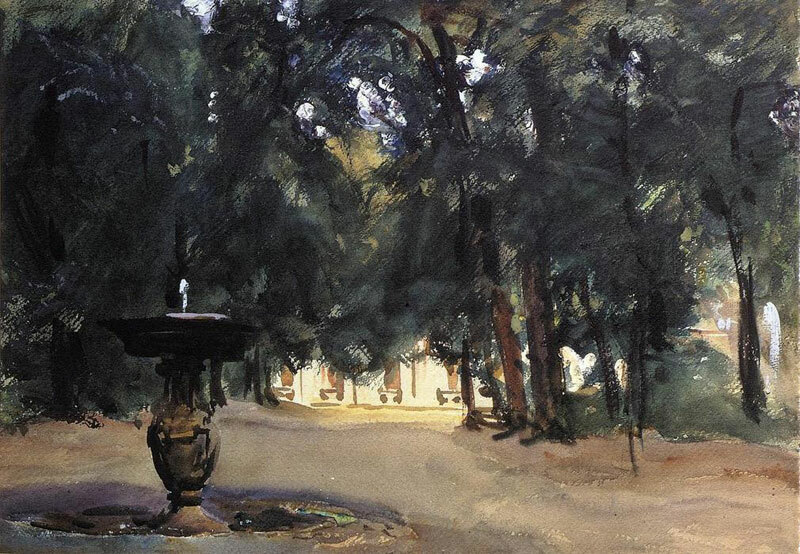 John Singer Sargent, Spanish Midday, Aranjuez. 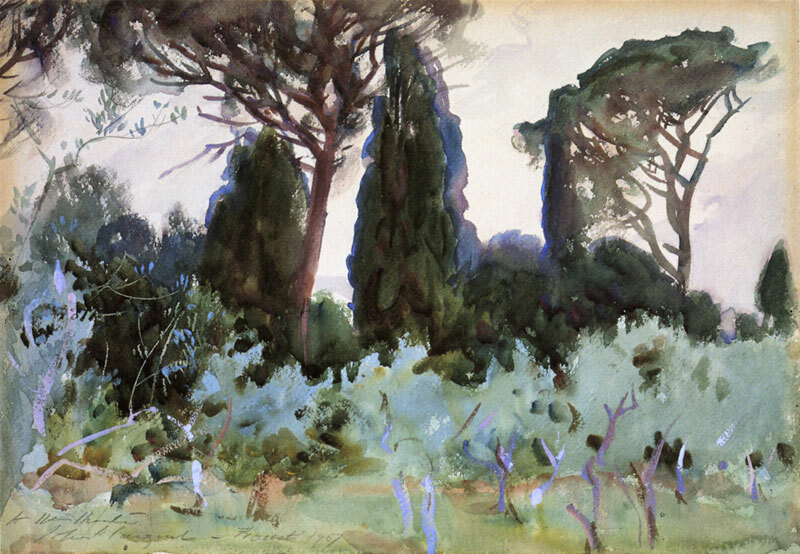 John Singer Sargent, Olive and Cypress. 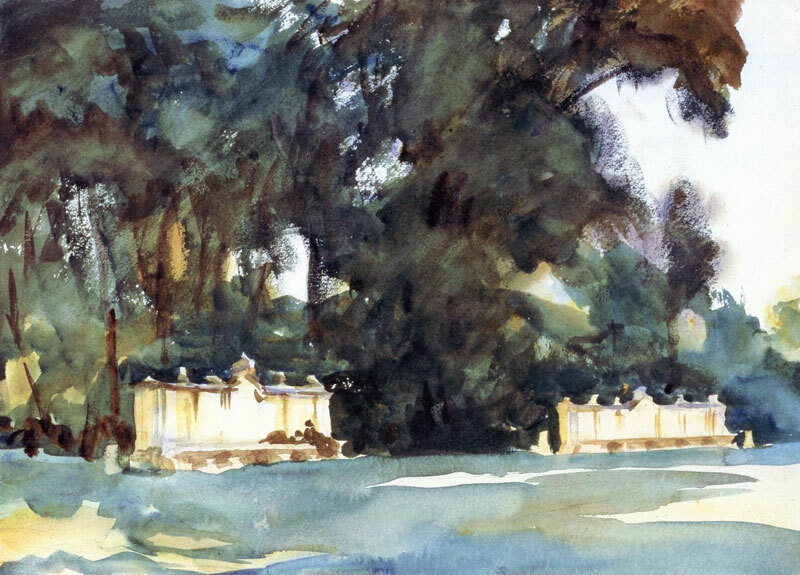 John Singer Sargent, La Granja. 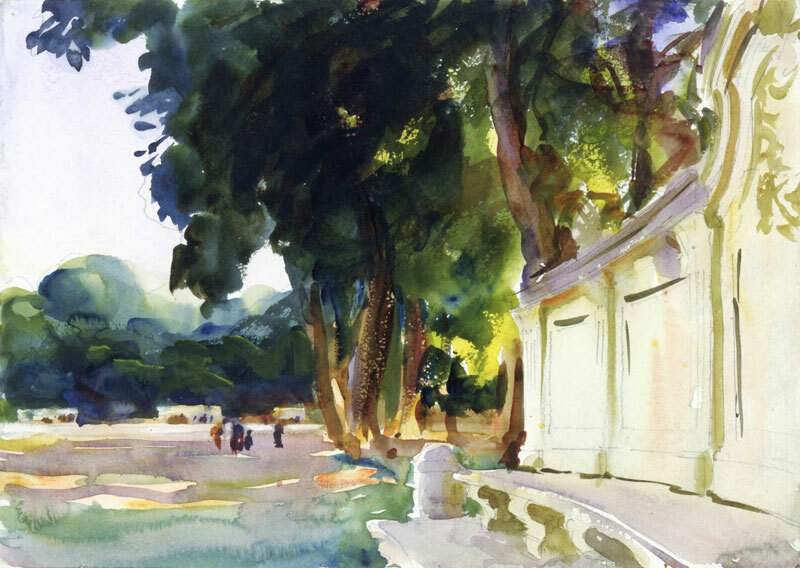 John Singer Sargent, Park Scene.